Wow! Head over to Amazon to score this highly rated Ninja Mega Kitchen System (model BL770) for just $85! This is regularly $182.50, so that’s a nice discount! 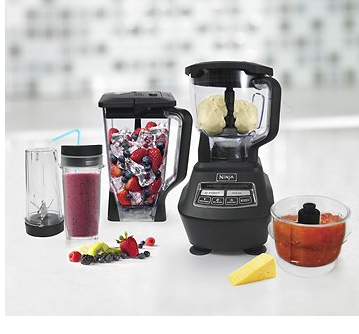 It comes with a 72 oz pitcher, 8-cup food processor bowl, two 16 oz Nutri Ninja cups, and more.